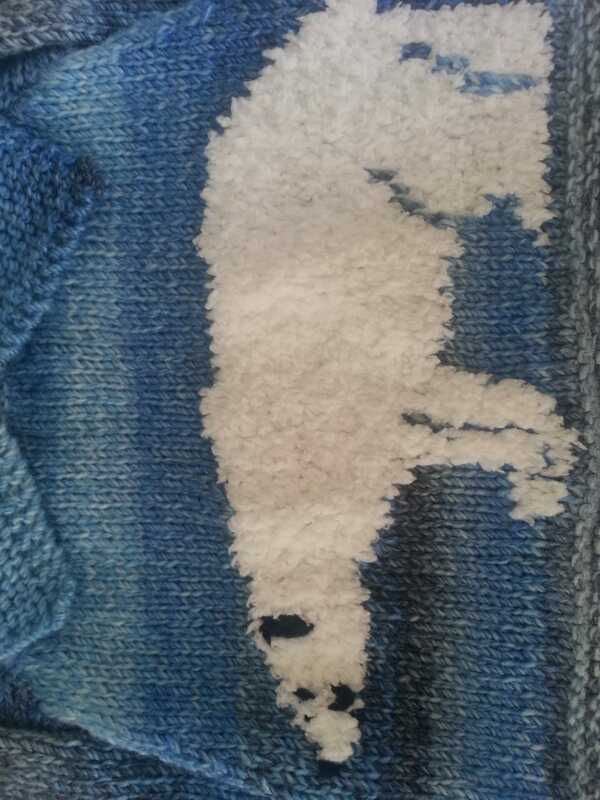 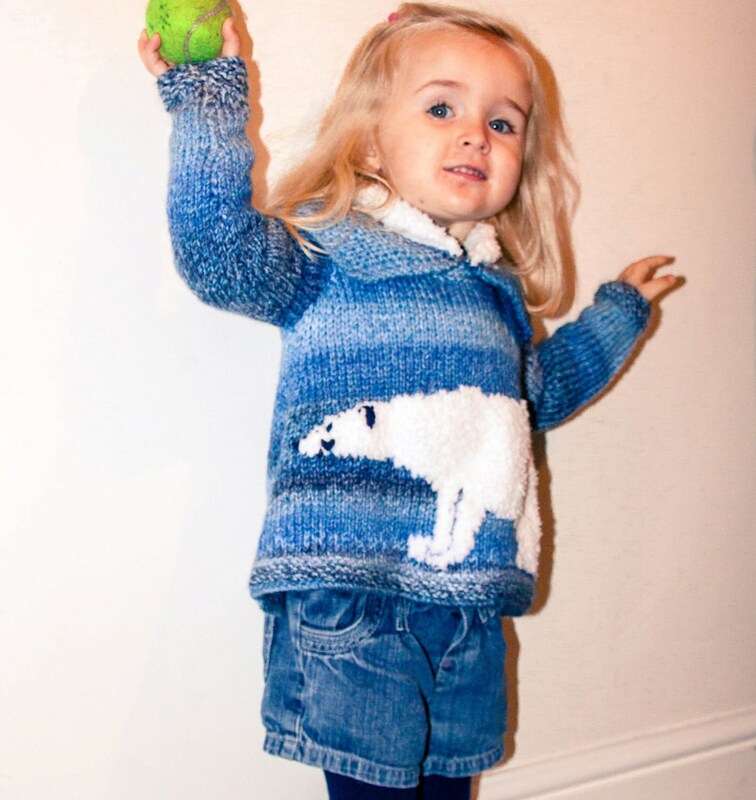 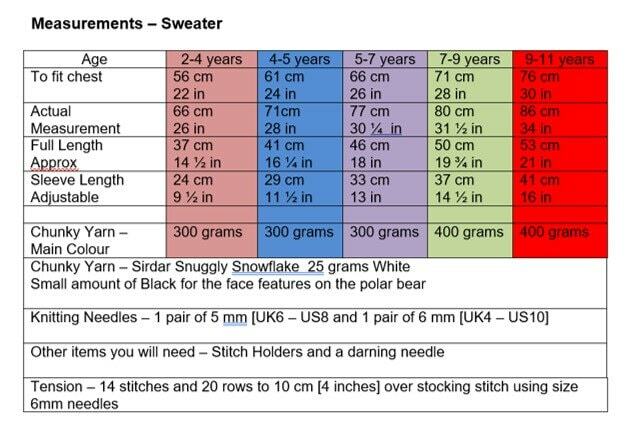 A knitting pattern for a sweater featuring a fluffy polar bear for ages 2 to 11 years. 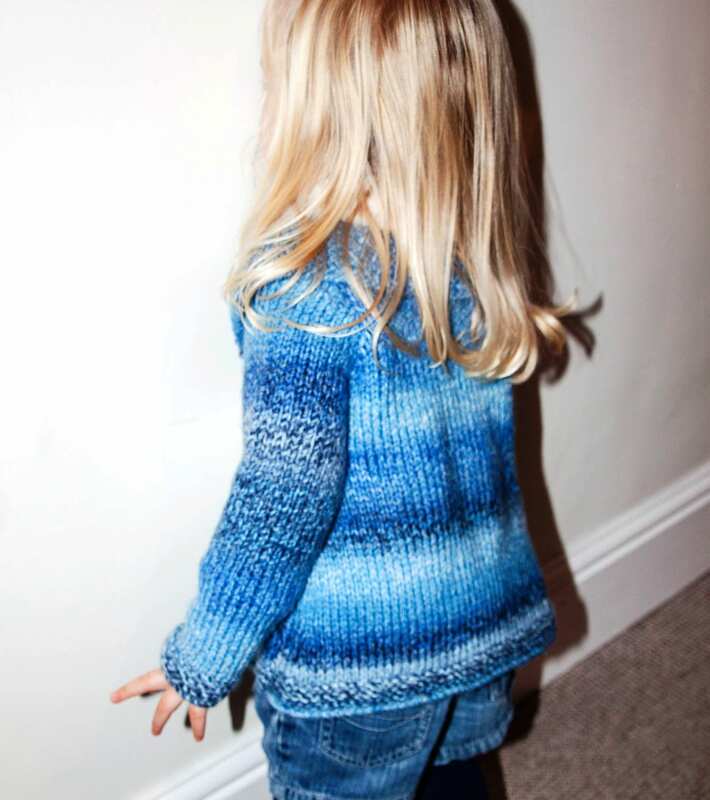 This sweater features a cosy collar and flared bodice. 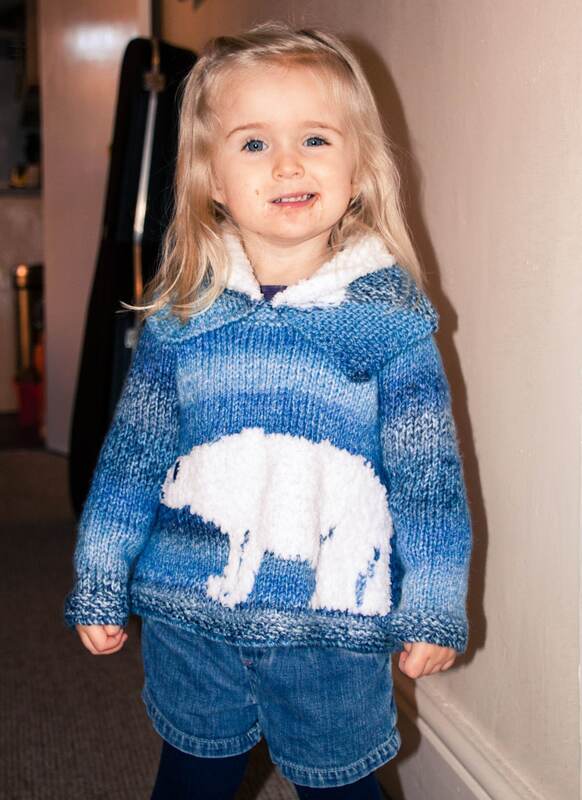 An easy and quick design to knit. 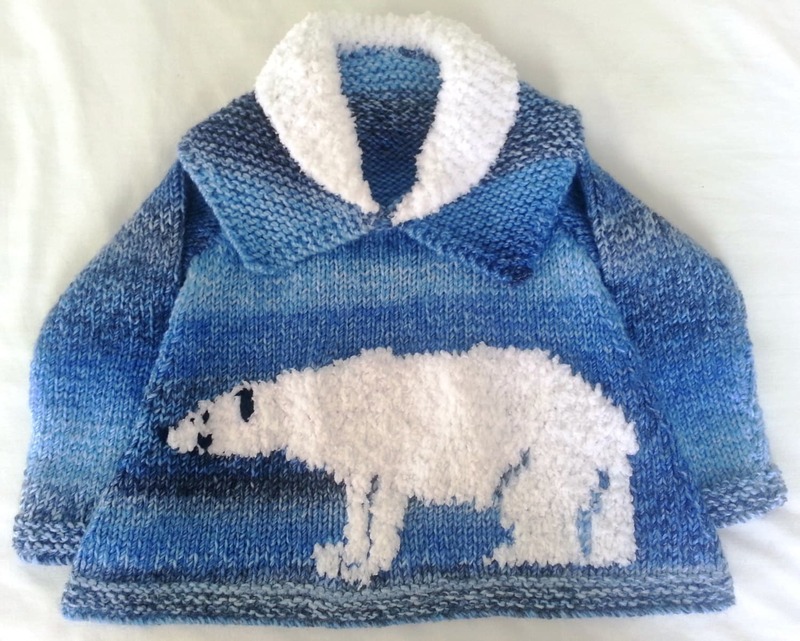 The pattern includes colour coded sizes for ages from 2 to 11 years and a large full-page coloured intarsia chart for the polar bear.